What goes well with something that’s decadent? Wine and Valentine’s Day candy immediately come to mind. But beware…not all wine/candy pairings automatically work. Indeed, our experiments resulted in a few fails. We eventually landed on a few complimentary combos. 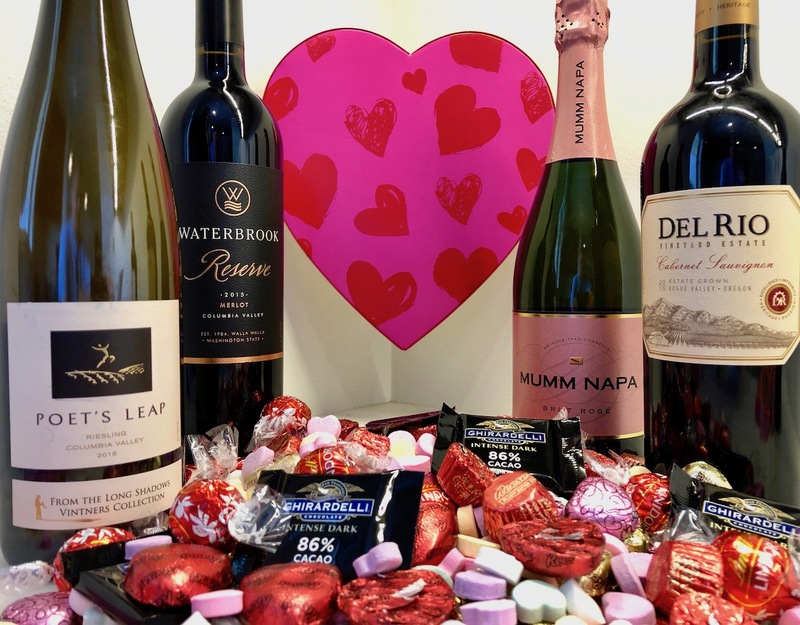 A key pairing rule: make sure the candy is not sweeter than the wine. 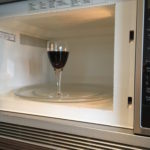 Otherwise the wine can be overpowered by all that sugar. 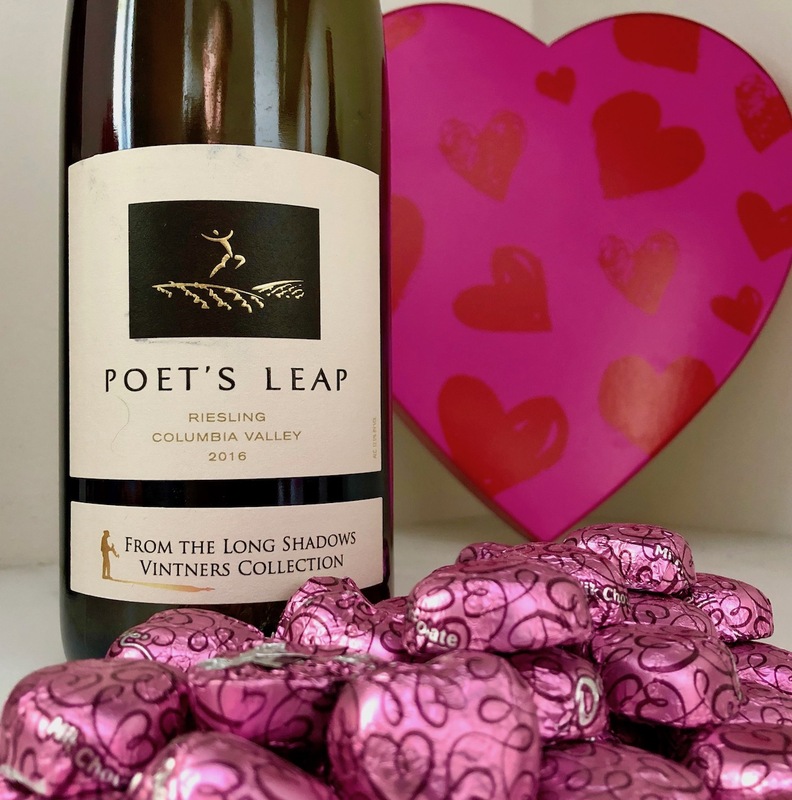 Here we match milk chocolate, in the form of Dove hearts, with Poet’s Leap, a wonderfully nuanced white that is by no means a typically “sweet” Riesling. But it has enough residual sugar and acidity to hold up to the milk chocolate. Chocolate truffles come in many varieties. We selected the easy-to-find Lindor milk chocolate version. The exterior and interior: milk chocolate in both cases. 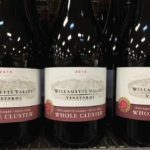 A good match for that double-barreled barrage of milk chocolate is the soft, sweet fruit flavor of Merlot. 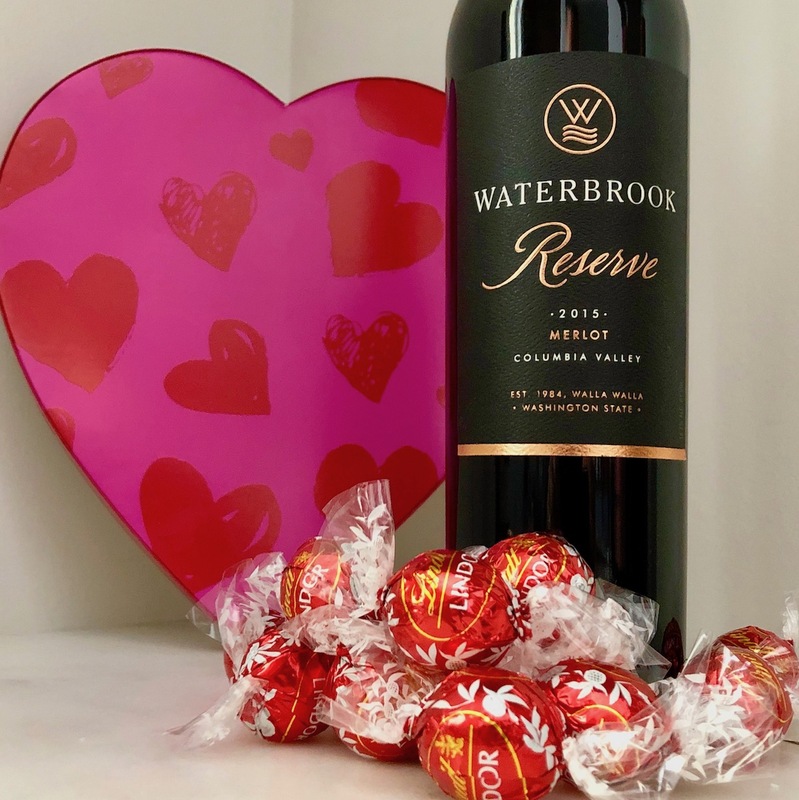 Some describe merlot itself as tasting “chocolately” so if the idea of chasing chocolate with chocolate sounds appealing, here’s your pairing. This is a tried-and-true pairing. Sweet with almond/honey flavors, Port marries very well with the bittersweet tones of the dark chocolate. OK. They really liked it. I won’t go all hyperbolic on you but this pairing is pretty darn good. 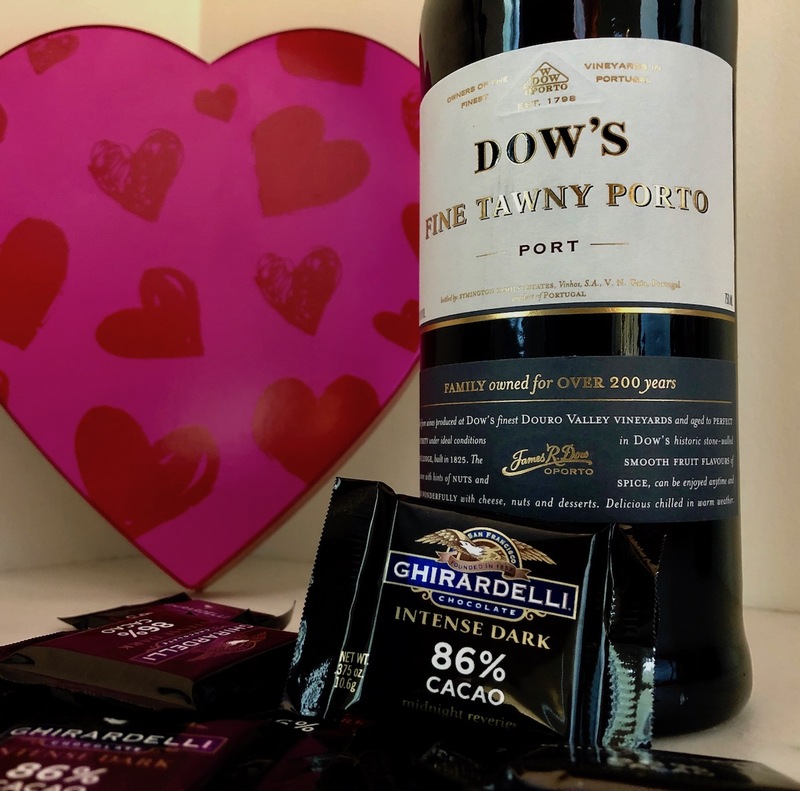 Dow’s Tawny Port is available most everywhere…Fred Meyer, Safeway, QFC… for around $14. The people who make Reese’s Peanut Butter cups rarely let a holiday go by without a special edition which explains Reese’s Hearts. It’s still the same peanut butter-chocolate mashup you know so well. What perhaps you didn’t know…it goes surprisingly well with Cabernet. 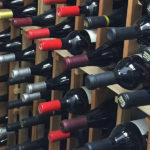 Cabernet’s sturdy structure and dark fruit flavors meld well…and stand up…to that familiar Reese’s flavor combo. 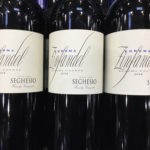 We’re featuring a Cabernet from Del Rio, one of the up and comers in an up and coming Oregon wine region, the Rogue Valley. 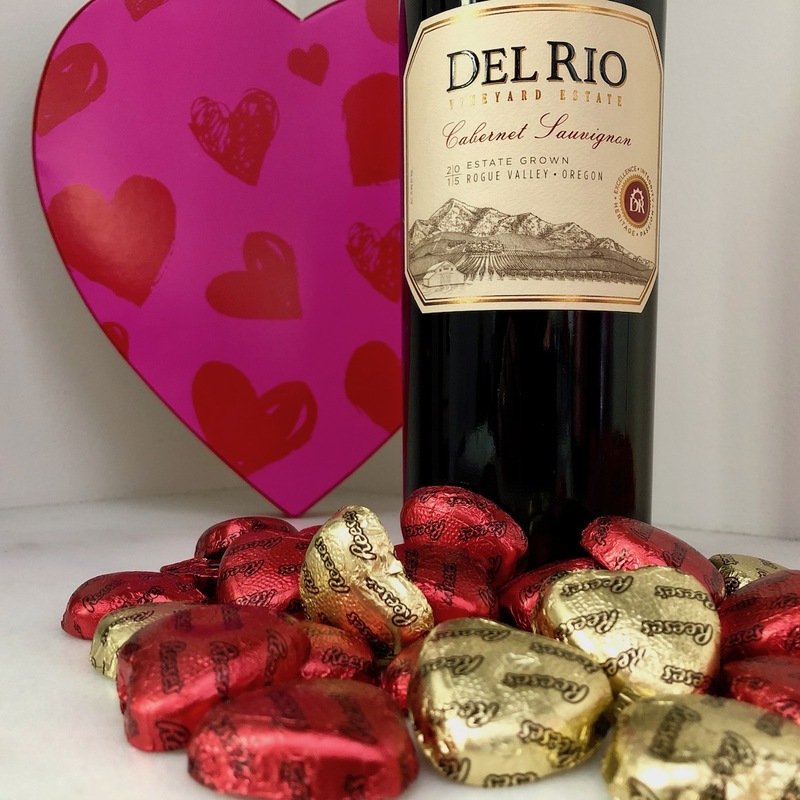 You’ll find Del Rio at selected Fred Meyers for $22. Candy lovers panicked when the #1 manufacturer of conversation hearts, Necco, went out of business last year. Another candy maker, Brach’s filled the void with its take on the popular confection. Some purists say the Brach’s version doesn’t measure up. I won’t enter that debate. I will say that sparkling wine has always been a good pairing with this chalky, powdery V-Day staple. 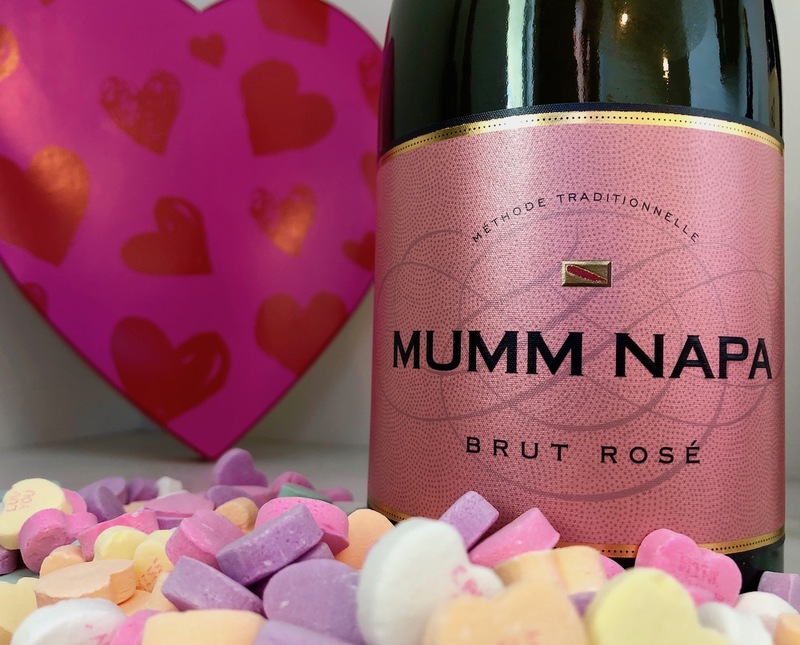 Mumm Brut Sparkling Rosé has the fresh strawberry undertones, and the sparkling effervescence, to pair well with “Be Mine”, “UR Hot” or any variation on the theme. 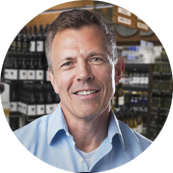 Mumm Brut Sparkling Rosé can be found at Safeway for $19, QFC for $20 and Fred Meyer for $23.